Martin Francisco de Usoz, a native of Pamplona, Spain, served as 1st Sergeant in the Spanish Militia under General Bernardo de Galvez. Miguel de Usoz and his wife, Martina Odeana, and son Martin, left Pamplona, Spain in the late 1760s. 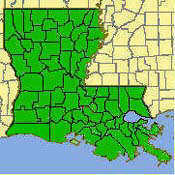 They settled along Bayou Lafourche below Donaldsonville, LA (referred to as Barton) near Palo Alto Plantation. Records indicate Martin was an only child (or only surviving child). Conveyance records dating to 1770 list Ourso members in the Donaldsonville area. Martin married Catalina Marrero, a native of Santa Cruz de Tenerife, Canary Islands. She departed on 22 October 1778 with her parents, Bartoleme' and Josefa Sosa Marrero and sisters Tomasa and Maria, on the ship, La Victoria. 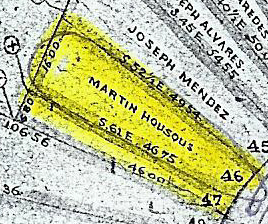 It is highly likely that all Ourso descendants in the USA trace their ancestry to Martin and Catalina. Martin participated in the fight for American Independence by serving under General Bernardo de Galvez. His burial record from the Church of the Ascension of Our Lord in Donaldsonville states he was a First Sergeant in the Spanish Militia. He is also listed in the Papeles Procedentes de Cuba (Cuban Papers) Legajo 159 and as translated in the Sons of the American Revolution's, C. Robert Churchill book, pages 84 and 151 - "Sexta Compania" and spelled as Martin Ussos (p. 84) and Martin Usos (p. 151). While the recordation of the name has many variations - de Usos, de Ussos, Huso, Housos, Urso, Uso, etc - it is believed that the original spelling was de Usoz, in part to a village of Usoz being located near Pamplona. Another indication that the spelling is de Usoz is that Lorenzo de Usoz is listed in the Cuban Papers and corresponding with the Louisiana colony in the late 1780s and 1790s. and to certify the day month and year of death. Native of Pamplona. This township map was approved April 5th, 1843 by the Surveyor General of Louisiana.